The Czech government on Thursday unveiled moves to spark the rapid take-off of e-government in the country. From a promising start a decade or so ago, the Czech efforts have stumbled with the country slipping badly down the European and world performance rankings. In Estonia, voting on-line in general elections is now a matter of course. It’s still very much the exception, but in many other countries you can deal with nearly all everyday problems with local, regional, and central government and public bodies over the Internet. A few years ago in the Czech Republic there had been talk of making elections this year the first to be conducted with Internet voting. Those promises fizzled out and Czech voters in upcoming regional and Senate elections next month will for the most part vote after using their feet. And Czechs still often have to deal with administrative issues with pieces of paper in hand at official counters. A global survey by the United Nations this year ranked the Czech Republic 50th in the world for the development of e-government following a slow and steady fall in the rankings over the last decade. For comparison, Slovenia ranked 21, Poland 36, Hungary 46, and Slovakia 67. Britain topped the table after a concerted effort to put all aspects of administration online. Facing up to that fact, Prime Minister Bohuslav Sobotka launched the government’s 20-20-20 strategy aimed at propelling the country within four years into the top 20 e-government countries in the world. 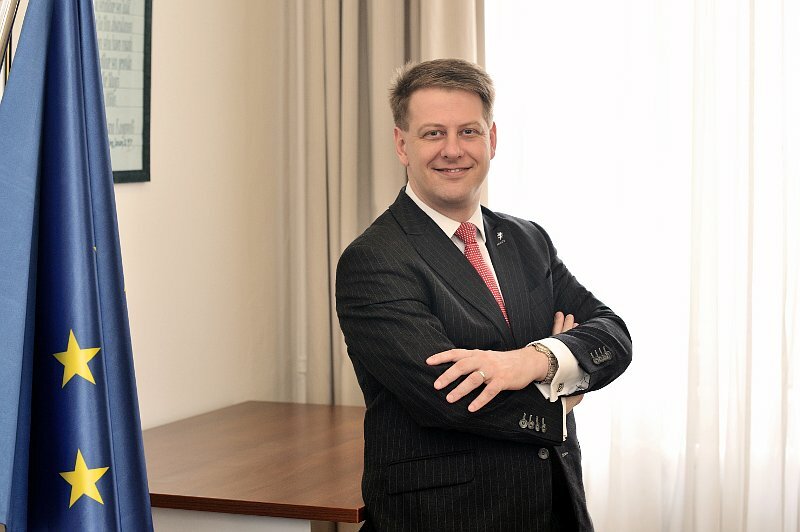 Secretary of State for European Affairs Tomáš Prouza was given the extra task of being the government’s digital coordinator in April. He will be taking a leading role in the new initiative and explained some of its facets after the press conference. All in all, the Czech government and administration now has 735 on-line services. The government stresses the picture is not totally gloomy, initiatives such as applications for electronic criminal records or the multi-purpose CzechPoint site have been rolled out. Work is continuing on an electronic identity card with the target that it should be available by 2018. But many of those steps have been ad hoc by different ministries and bodies and they for the most part not compatible. The latest initiative started with regions and local councils asking the government to do more and get its act together. And the bottom up approach will continue with the government now mapping out what its doing as regards e-government and asking citizens and companies for pointers where the next breakthroughs should be.